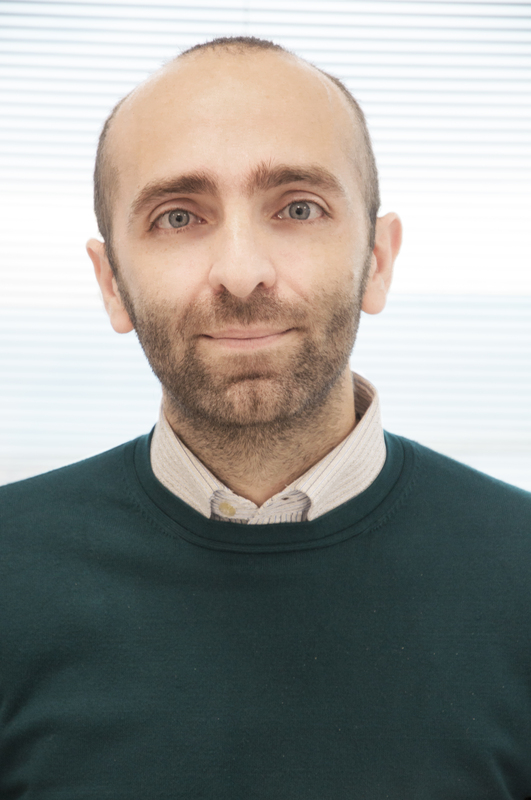 Andrea is Assistant Professor at the Department of Psychology of the University of Turin. He received his Master’s degree in Clinical Psychology from the University of Padua in 2008, and his PhD in Neuroscience from the University of Turin in 2013. As a researcher, he is currently hosted by C’MON – Cognition, Motion, and Neuroscience Unit at the Italian Institute of Technology, Genoa. Cavallo, A., Ansuini, C., Capozzi, F., Tversky, B., Becchio, C.
Cavallo, A., Ansuini, C., Gori, M., Tinti, C., Tonelli, A., Becchio, C.
Bucchioni, G., Fossataro, C., Cavallo, A., Mouras, H., Neppi-Modona, M., Garbarini, F.
Furlanetto T., Cavallo A., Manera V., Tversky B., Becchio C. (2013). Through your eyes: incongruence of gaze and action increases spontaneous perspective taking. Cavallo A., Bucchioni G., Castiello U., Becchio C. (2013). European Journal of Neuroscience, doi: 10.1111/ejn.12343. Bucchioni G., Cavallo A., Ippolito D., Marton G., Castiello U. (2013). Brain and Cognition, 81, 176-182. Becchio C., Cavallo A., Begliomini C., Sartori L., Feltrin G., Castiello U. (2012). Becchio C., Manera V., Sartori L., Cavallo A., Castiello U. (2012). Sartori, L., Cavallo, A., Bucchioni, G., & Castiello, U. (2012). From simulation to reciprocity: the case of complementary actions. Manera V., Cavallo A., Chiavarino C., Schouten B., Verfaillie K., Becchio C. (2012). Sartori, L., Cavallo, A., Bucchioni, G., & Castiello, U. (2011). Corticospinal excitability is specifically modulated by the social dimension of observed actions. Experimental Brain Research, 211, 557-568. Cavallo, A., Sartori, L., & Castiello, U. (2011). Corticospinal excitability modulation to hand muscles during the observation of appropriate versus inappropriate actions.